In 1982, the American scholar Charles Hapgood made an astonishing claim to a young librarian, Rand Flem-Ath - that civilization was almost 100,000 years old and he had the evidence to prove it. Before he could substantiate this remarkable assertion, Hapgood died. Together with fellow author Colin Wilson, Flem-Ath set out to track down the truth behind the scholar's statements. Their study of the world's most sacred sites - Stonehenge, the Great Pyramids and many others - led them to an amazing discovery. Far from being built by local people for local reasons, these monuments formed an undeniable geometrical pattern. This is turn implied the existence of an ancient advanced civilization, one that existed before the Flood that destroyed Atlantis and whose knowledge of the world was far wider than had previously been thought possible. 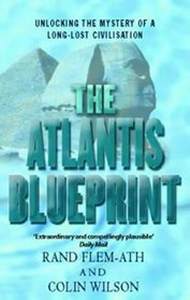 This book deciphers this remarkable code and the reasons behind it: the attempt by scientists from Atlantis to preserve a legacy of their civilisation. The book presents its argument with enormous persuasiveness - namely that our civilization is not the first to occupy the planet, nor is it likely to be the last.